Everyone’s on drugs this week. I had dismissed Will Smith’s offspring as a pair of pretentious fucks, but lately both Willow and Jaden have been pleasantly surprising me with their musical output. Released on the day of the election results, this song sees Whip-My-Hair-star Willow taking on a reassuringly positive stance. ‘Baby girl I know you’re tired/ Don’t let the world put out your fire’, she croons soothingly over lazy guitars. Her message seems to be: ‘it’s not an ideal outcome, but we’ve got to deal with it’. For the sake of Willow’s ego, I won’t dissect it any further. 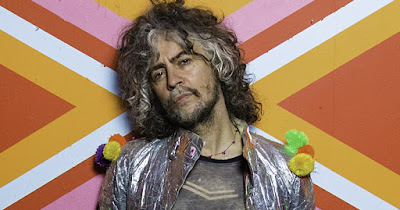 After last year’s unprecedented ghastly collaboration with Miley Cyrus, psychedelic rockers The Flaming Lips now seem to be thankfully returning to form, as evident from this delectably druggy dirge made up of celestial synths and belching bass. I’m not sure what the blurred buttcracks in the video are about, nor do I understand Wayne’s lyrics about trailer trash and earthworms. Do I want to know? Fellow psych-rockers King Gizzard and The Lizard Wizard hail from Melbourne and have a certain fondness for retro ideas. Centred entirely around one chugging riff, 7-minute epic ‘Rattlesnake’ could be a Deep Purple song, minus the harmonica and weird Arabic trumpet thing. The retro-CGI music video meanwhile plays out like a game of Guitar Hero on bad shrooms. My boy Ehi has teamed up with New Jersey producer Flamingosis and the result is zero-gravity soul-funk smoother than a baby’s bottom. Check out my interview with kooky r&b singer Ehiorobo here. I’m sorry but rapping is definitely NOT your ‘thing’. Review of 'Splendor & Misery' by clipping.